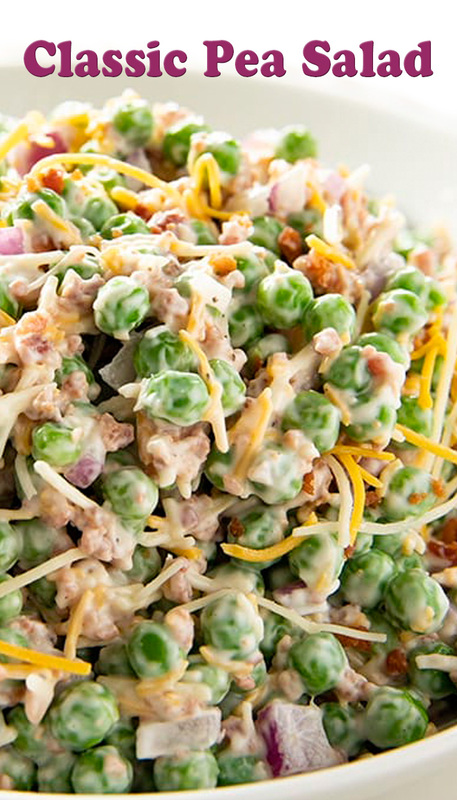 Remove the frozen peas from the freezer. Open the bag and place the peas in a colander. Allow them to thaw slightly on the counter while you mix up the salad dressing. In a large bowl mix together the mayonnaise, sugar, salt, and pepper with the red onion, cheese, and bacon bits. Add the frozen peas to the salad and stir well, but gently to combine. Chill the salad, covered, for at least one hour before serving.